‌Yellow straight suit featuring in cotton. 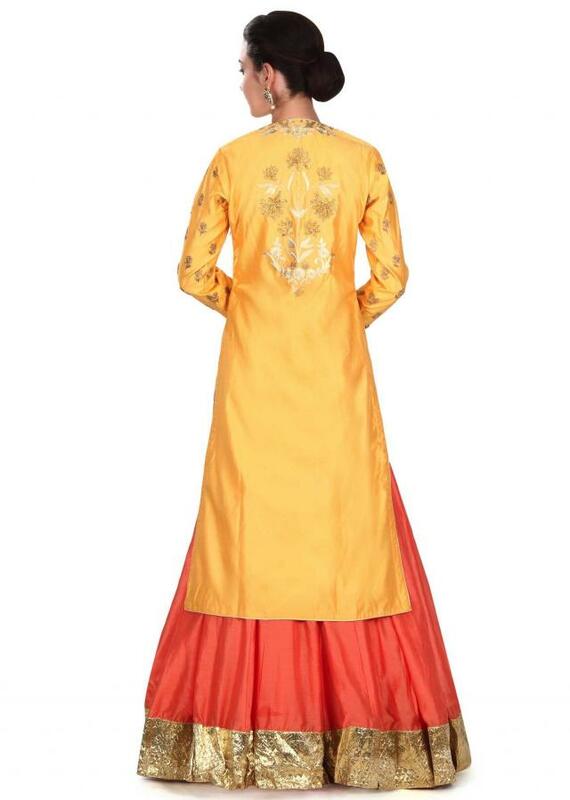 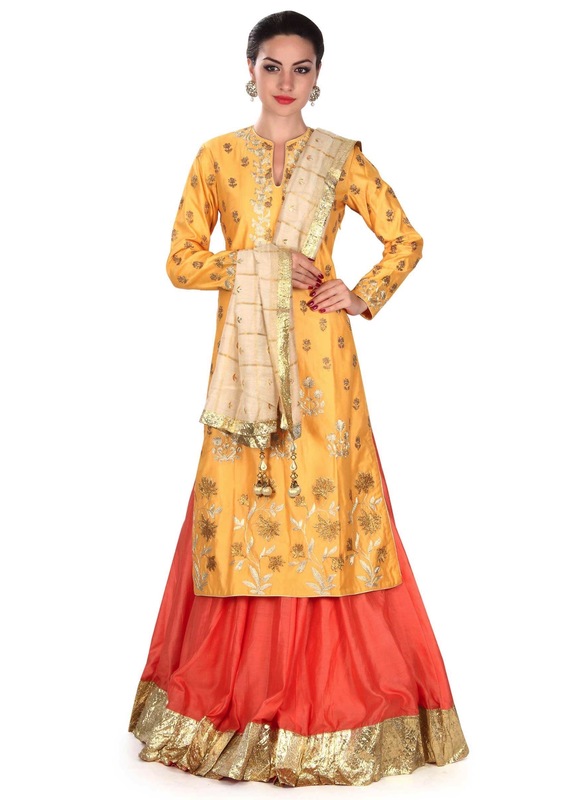 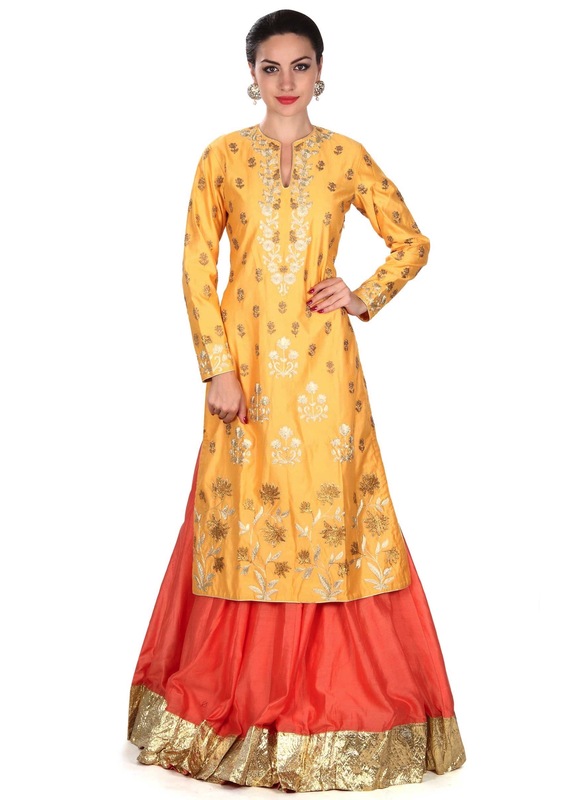 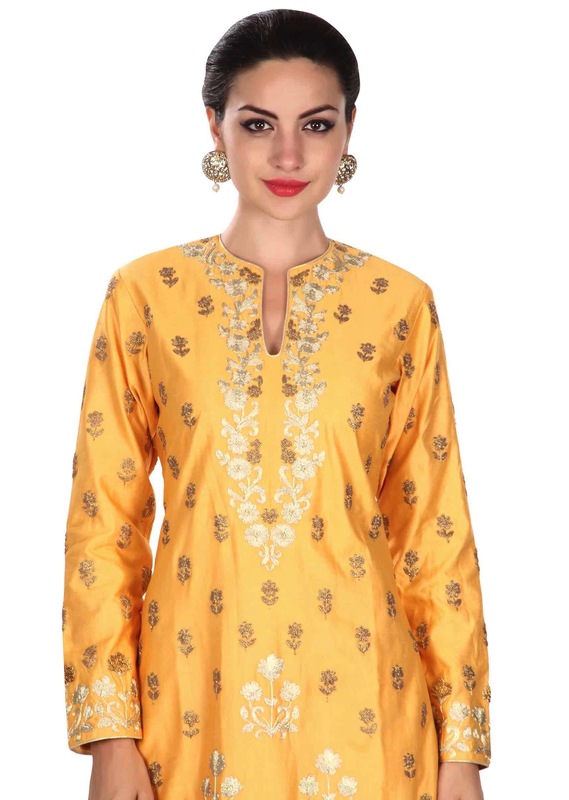 Embellished in zari embroidered placket and butti. 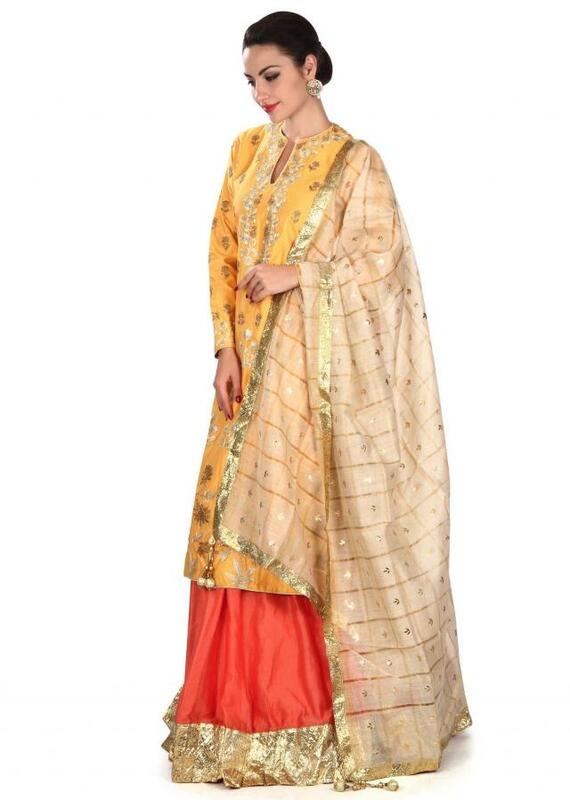 Matched with peach lehenga with crushed lurex border and beige silk dupatta.